Supernatural is American’s one of the longest running television series. It revolves around the life of two brothers Sam and Dean Winchester whose journeys are filled with thrilling adventures. They are often helped by their close friend Castiel, who has helped those fighting battles against various daemons and angels. Unlike both brothers, Castiel is An Angel of the Lord, who helped bringing Dean Winchester back from Hell. 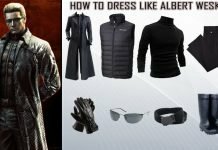 All characters of Supernatural have their signature styles and can easily be identified as one from the series. 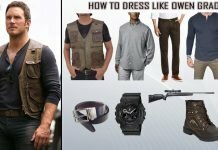 If you are here looking for a costume then without a doubt you can invest all your energy dressing like Castiel who developed exceptional affection towards Winchester brothers while travelling with them. The costume of Castiel is inexplicably made from the toughest and most stain resistant fabric in the world, since we have seen him doing laundry only once. That could be his angel grace keeping him clean, maybe. Anyway, here we bring you Castiel costume minus the angel grace cleaning. 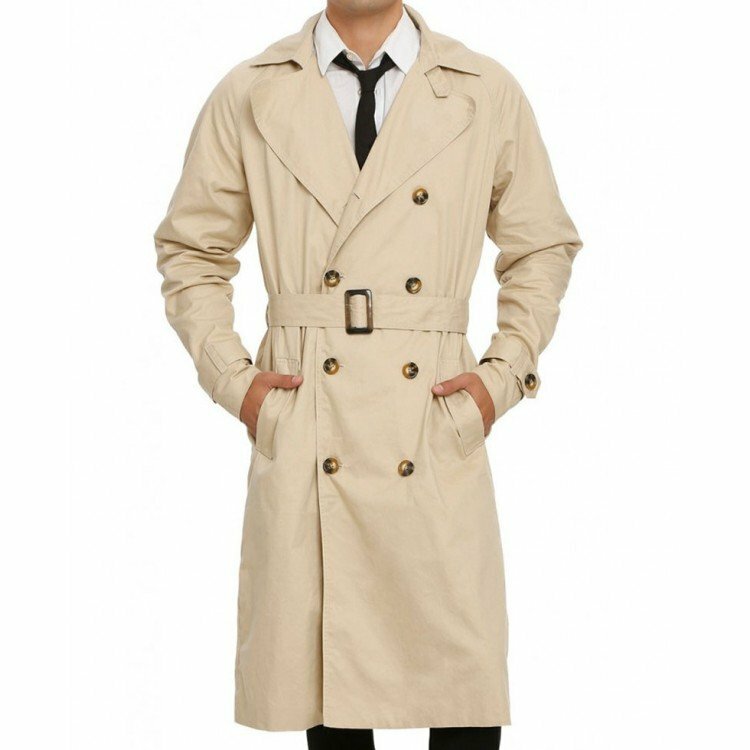 The most noticeable and noteworthy item of Castiel costume is this trench coat. This coat is an exact replica of Castiel’s original signature trench coat. This coat is made from high quality cotton fabric and features double breasted button closure with Lapel collar style. 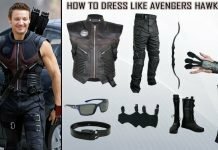 This jacket has Adjustable waist belt with Jetted pockets on waist. IT’s every inch a stylish attire that you should must own. 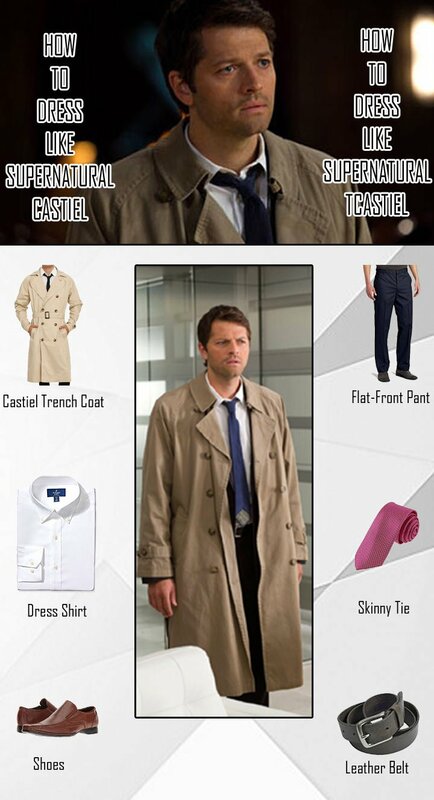 Subtle and supple, the character of Castiel surely knows what it takes to pull that formal and classy look. 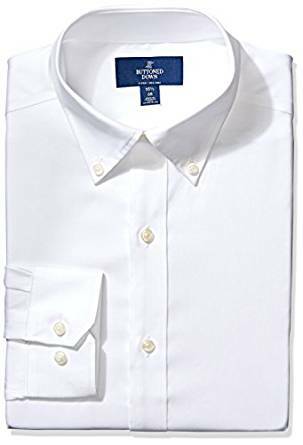 This refined and elegant shirt is made of high quality Supima cotton fabric with lightweight finish to provide you with as sharp and classy look. It features button down look, long sleeves and cutaway collar. 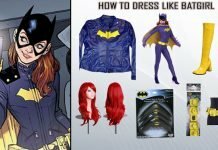 Pair it up with some pants and you can pull this shirt event if not playing the Castiel costume. 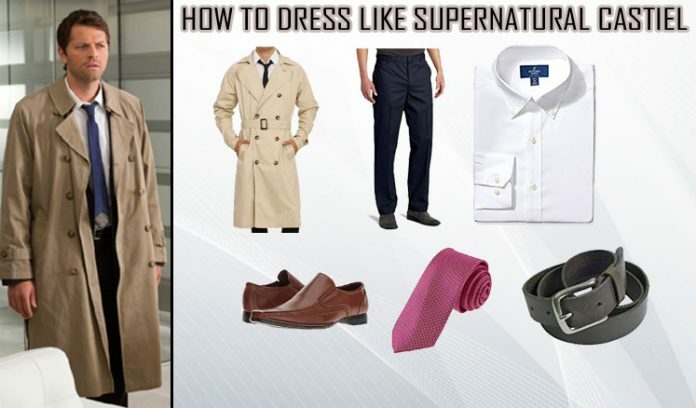 Castiel surely knows how to dress to impress. 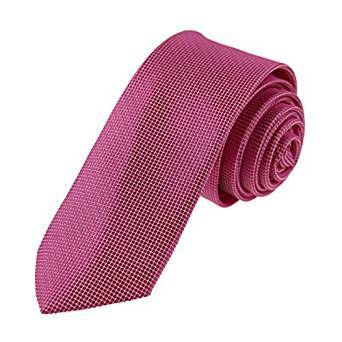 In order to keep the Formal person of Jacob Frye grab this stylish necktie with high quality and 100% Woven Microfiber and push your Castiel costume in eye-catching limelight with much needed must needed sassiness straight on. 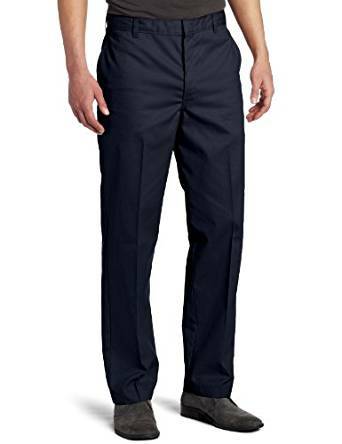 Pair up your castiel costume Jacket with these gorgeously black, Classic flat front casual pants. This pant is made of high quality blend of cotton and polyester fabric to give you the required comfort and allows great looks. This pant features side-seam and welted back pockets along with Belt-loop waistband. 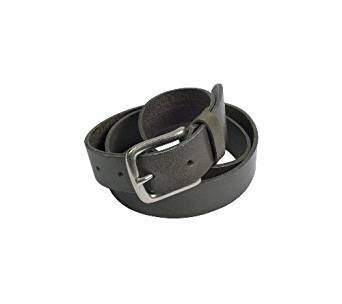 The appealing belt worn by Castiel is worth mentioning in the Castiel costume. 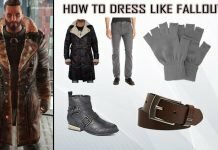 It’s no different than a normal leather belt with Double Ring closure.it and works as a quick match with the persona that is depicted with fashion and style as good as Castiel Costume. 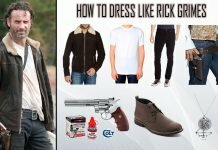 Take on this masterfully crafted brown shoes to complete your Castiel Costume in the exact Walking dead Style. 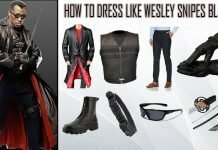 The classy fabrication and designing give these shoes a decent, slick and cool look that they could be put on with all formal attires in the party when you are not rocking the Castiel Costume Style.